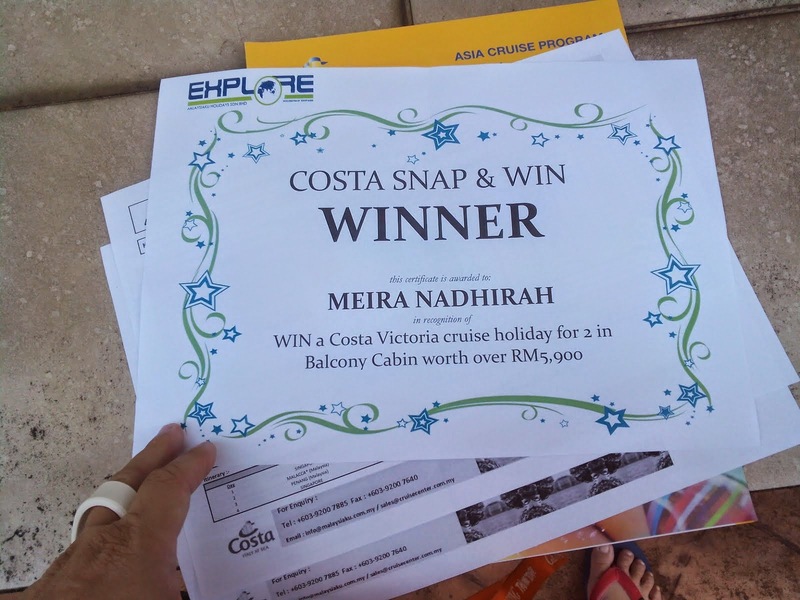 As some of you here might now I recently won a stay on the Costa Victoria from the MATTA fair/Explore Malaysiaku competition. 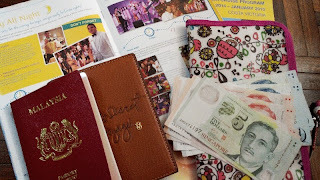 I had been ecstatic and delirious with happiness but now, closer to the date I am to go for my cruise, within these few days, I am feeling very stressed. Why? It is because the free cruise, I thought is not exactly free after all. And there are so many hidden and side cost I am sooo feeling pressured. I am not rich, and I have a family to take care of, bills to pay etc, so this prize was initially a dream come true for me because I had always dreamt of going on a cruise and bemoaning my inability to do so. However, my excitement turned to stress when going to collect my certificate. To cut down on the port charges, I decided to change to a local cruise.. From Singapore to Malaysia and back, instead of to Singapore to Phuket to Langkawi and back....I got to save RM200+ from that. Part of my decision also stemmed from the fact that every excursion off the ship, meaning if you want to go and sight see at the port they stop, you have to pay additional fees which is at least USD50++ and above . And since I decide not to, choosing to just enjoy my cruise , I decided for the shorter trip. The cruise from Singapore-Phuket-Langkawi-Singapore would have been 5 days and 4 nights while the cruise from Singapore-Melaka-Penang- Singapore would take 4 days and 3 nights. In return, I would bring my little girl to a couple of places in Singapore and spend a night there. And then... The cruise company called yesterday again and tells me I need to stand by USD300 as part of deposit to get on the ship... Now isn't that plain frustrating.. Especially when you have thought you got everything covered perfectly .. I am bringing some cash there but only a small amount and they are asking or demanding USD300 =RM1000??? Oh dear!!!!! Omg... Son many things need to pay! yeah comes to travel, need $ to use..